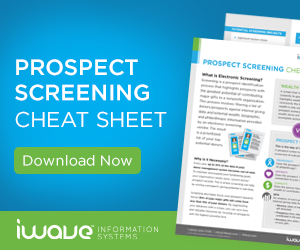 Home / iWave Blog, Prospect Ratings / THE PAC SERIES – CAPACITY: Does Your Prospect “Have” What It Takes to Be a Major Gift Prospect? THE PAC SERIES – CAPACITY: Does Your Prospect “Have” What It Takes to Be a Major Gift Prospect? The third aspect of the PAC series is for some the most important, but for all, probably the most infamous. Trying to determine exactly your prospect’s capacity to give is very difficult. There is usually no definitive answer, but every major gift ask usually depends on it. You probably already know what capacity is, but the way we think of it is this. 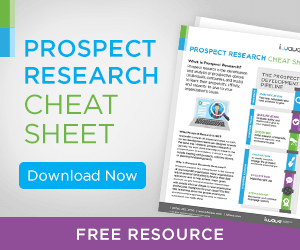 How much does your prospect have to give? Capacity ratings represent the total amount the prospect can give to all causes over a 5 year period. And to be clear, this rating or range does not include propensity/inclination or affinity. As Jen Filla mentioned in a recent webinar, many organizations have a multi-pronged approach that takes all three ratings into account but still think about them separately. It’s okay for someone to have a high capacity where there is no notion of philanthropy. The good news: Capacity ratings are extremely helpful for a gift officer asking for a major gift. The bad news: There is no one-size-fits-all formula for determining capacity to give. 1) Baseline: Based solely on 1-2 assets in a manual search, or based on valued assets matched through an electronic screening or research tool. Uses: This is an unverified rating. 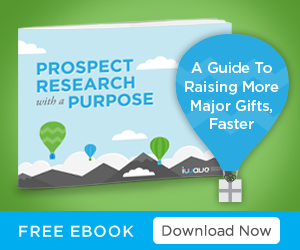 This means it gives a quick snapshot of your prospect’s potential ability to give. But it is just that: a baseline or a starting point – not a crafted ask amount. 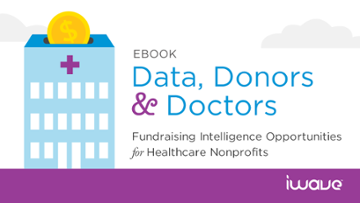 Baseline ratings can be used for prioritizing or segmenting donors to see which donors are worthy of deeper research. Pass this information to a gift officer only if they understand the profile is unverified. 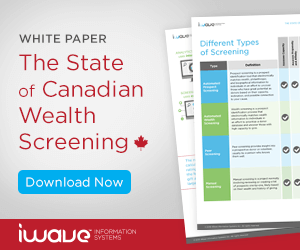 2) Verified or Confirmed: Manual research identifies wealth, wealth indicators, and applies a method to create a capacity rating. Uses: Those individuals or segments identified in the baseline rating to have potential as major gift donors, need to be verified. But what verification actually means is different for different organizations and even for different gift officers. 3) Strategic: Manual research dives deep to identify as many factors as possible, often narrowing the range of the rating to assist in crafting an ask amount. Uses: This is the holy grail of capacity ratings. It requires a significant amount of time but is accurate enough to assist in determining an ask amount range. Now this is where I will caution you. If you started reading this post hoping that you were going to get tried and true capacity rating formulas to use, you’re going to be disappointed. Remember the bad news I gave you before? There is no one-size-fits-all formula to give you and there are no 100% right answers. Ratings are only as good as the records used to calculate them. Records are only as good as the public information available. Annual income information comes from several sources but the source used in PRO, is the Larkspur Prospects of Wealth Dataset. The general rule of thumb using annual income to determine a capacity rating is 10% of income. Real estate holdings are perhaps the most popular and arguably the most accurate source used to calculated wealth. They represent all of the properties owned by the individual, even those properties listed under a trust or LLC. These properties are hard to find, but here are some tips for doing so. The reason real estate is so popular is because for 80% of the population, it is the only piece of data you can find on them. And that’s if you’re researching a prospect in the US. In other countries it’s even higher than that. More here. Use stocks and assets to generate a baseline rating as well. In fact, they are one of the data points used in PRO. The information from this calculation comes from the Infinata High Net Worth Dataset and is based on current estimated holdings. Next, charitable giving is an excellent, trusted indicator of capacity. There are many ways to analyze charitable giving to determine a rating. One simple rule of thumb for calculating a baseline capacity is the Average of total donations by year, multiplied by 5. Take political giving data with a grain of salt. It’s useful to show that someone has disposable income available but it doesn’t tell you much about their philanthropic history or likelihood to donate. But like real estate, if it’s the only thing you can find, it might be the best indicator you can get. Capacity is a broad topic with a lot of perspectives and a lot of customization per organization. It’s not only about the data. Strong communication is key. 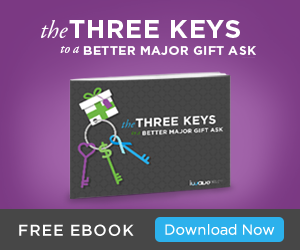 Determine what information the gift officer needs and what they have. They may know of other indicators of a more qualitative nature. This strong communication really comes into play in the verified and strategic capacity ratings as deeper researcher is required. About the author: Ryan McCarvill is iWave’s Content Manager. He joined the iWave team in 2016. Ryan enjoys meeting and learning from nonprofit professionals, researching trends in the nonprofit community, and offering strategies for development teams to use iWave’s solutions to meet and exceed their fundraising goals.